Mumbai, March 20: Former Nationalist Congress Party (NCP) leader Ranjitsinh Mohite Patil on Wednesday joined Bharatiya Janata Party citing "disappointment" with the NCP top leadership. He was inducted into the party in the presence of Maharashtra Chief Minister Devendra Fadnavis and state president Raosaheb Danve. Son of former minister Vijaysinh Mohite Patil, Ranjitsinh told media, "Since the last five years, the Chief Minister has worked hard for the welfare of the state and has delivered results." He added, "BJP's objective of 'vikas' (development) has always impressed me. Politics is on one side, but if you are working towards the development of the state and country, you have to be recognised. BJD Stalwart Baijayant Panda Joins BJP, Days Ahead of Lok Sabha Elections 2019. 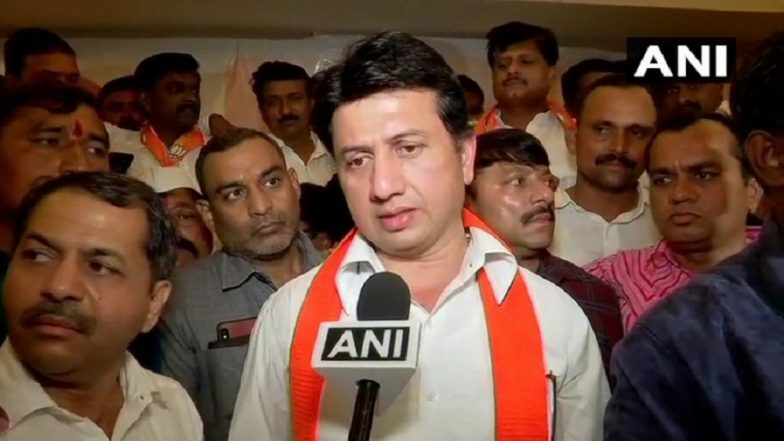 "Ranjitsinh, who is likely to contest from the Madha Lok Sabha seat in Solapur district, said: "I have always admired Nitin Gadkari, Piyush Goyal and Prime Minister Narendra Modi's work and this has led me to join the party." He also underlined that his joining the BJP is more of a "friendly" move than political.